Spirotech-SRD Group Ltd are now the sole distributors of the Mix S.r.l. range of products. The equipment, ranging from butterfly and gate valves including both manual and actuated, cover a large range of applications and are therefore sure to have something to fit your requirements. A full range of reverse jet filter systems along with silo safety equipment, including silo pressure monitoring and level detection, ensure your silo can operate efficiently whilst keeping it in line with health and safety requirements and environmental regulations. The range of mixers is second to none and can provide mixing solutions for all types of applications. The Mix SRL range of products helps to enhance Spirotech’s own range of products and services. 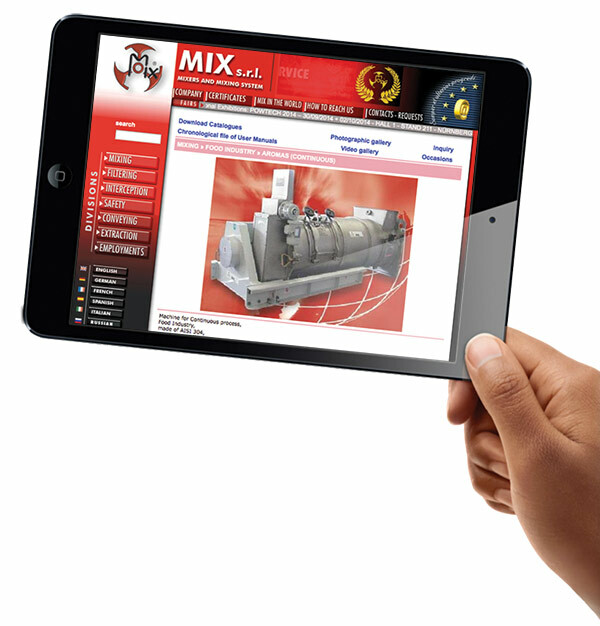 Visit the web site at www.mixsrl.it for further details.